David Frost has produced numerous critically acclaimed recordings, released by major labels such as RCA Red Seal, Sony Classical, London/Decca, Deutsche Grammophon and EMI Classics. 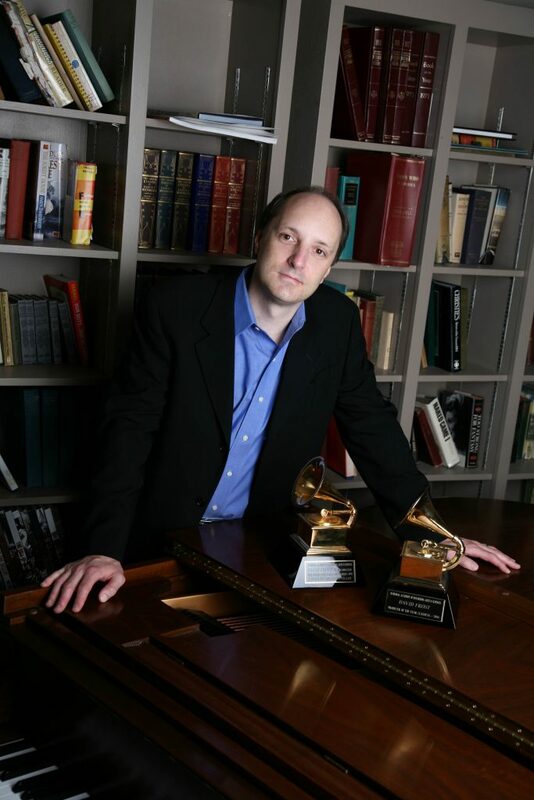 Honors include sixteen Grammy Awards, among them six for Classical Producer of the Year, two for Best Engineered Classical Album, Best Classical Album and Best Choral Performance for the Verdi Requiem with Riccardo Muti and the Chicago Symphony, Best Surround Sound Album, Renée Fleming’s “Verismo”, Sharon Isbin’s “Journey to the New World”, “Traditions and Transformations: Sounds of Silk Road Chicago” and for the Sony Classical recording Listen to the Storyteller, with music by Wynton Marsalis, Edgar Meyer and Patrick Doyle, and narrated by Kate Winslet and Graham Greene. He was the producer for Alicia de Larrocha’s RCA recording of Granados’ Goyescas, which won both a Grammy Award and the Grand Prix du Disque. He also received Grammy Award Nominations for Classical Producer of the Year in 2001 and 2009 and for Renée Fleming’s Homage: The Age of the Diva in 2007. He is currently a music producer and mixer for the Metropolitan Opera’s “Live in HD” cinema broadcasts and regularly serves as music producer for WNET’s Great Performances television series, featuring Itzhak Perlman, Yo-Yo Ma, The New York Philharmonic, Andrea Bocelli, Pierre Boulez and many others. Other credits include Verdi’s Otello with the Chicago Symphony Orchestra and Chorus conducted by Riccardo Muti, Renée Fleming’s “Guilty Pleasures” and “Broadway”, Maria Schneider’s “WInter Morning Walks” with Dawn Upshaw (a triple Grammy Award winning album), Gustavo Dudamel’s recording of Berlioz Symphonie Fantastique for Deutsche Grammophon, the Broadway cast album of Baz Luhrmann’s Production of Puccini’s La Boheme for Dreamworks Records. As a staff producer at BMG Classics (RCA Red Seal) for nearly a decade, he collaborated with RCA’s most important artists to create dozens of albums. He has also produced recordings for The Milken Archive, a multi-volume set of Jewish American music, which has been released by Naxos. He has been guest faculty at the Banff Centre and the Manhattan School of Music, giving workshops and lectures on record producing. An accomplished pianist, David Frost has performed Beethoven’s “Emperor” Concerto at Carnegie Hall and has made two recordings, one titled Romantic Variations and one of the music of Scott Joplin. He has both a Bachelor’s and a Master’s degree from the Juilliard School of Music.